Tanya Bonakdar Gallery is very pleased to present Teresa Hubbard / Alexander Birchler's third solo show with the gallery. The exhibition features House with Pool, the artists' most elaborate video to date, together with new related photographic series. House with Pool furthers the artists' investigation of the profound interdependence between architecture and narrative, character and environment, psychic and physical space. Precise camera and audio work construct a suspenseful, dramatic narrative loop where the viewer encounters a visual reordering of space that constitutes the emotional inside as physical outside and vice versa. In House with Pool, a party is over, a house sits quiet, a woman is absorbed in thought. She moves through the house and all its objects, the evening's empty glasses and left-over hors d'oeuvres. Simultaneously a younger woman moves through the night and all its objects: forest trees, manicured lawns, untraceable sounds. The younger woman enters the house; the older woman is unaware of her trespass. There are parallels between the two, but their relationship is uncertain, and their paths - at least here - do not coincide. They are instead drawn together through the items that they pass back and forth to each other and through a repetition of gestures: a hand turns a tap in the shower, a hand turns a knob on a door; a sweater is removed and folded, the sweater is picked up by the other woman and put on; one woman stares in through the window, the other peers from within the house to the dark outside; one woman begins to play a piano composition, the other woman finishes it. Hubbard/Birchler use the house, a prime example of high modernist architecture, as a camera that “sees” and reciprocally, “is seen” by the outside world as a metaphor for the women's psychological states and their relationship to each other. The piano composition played by both women creates an all-encompassing soundtrack, contributing to the work's mysterious mise-en-scène. House with Pool, installed in the main gallery space, signifies a culmination of Hubbard/Birchler's effort over recent years to explore social struggles where the everyday and ordinary is infused with a sense of wonder and the uncanny. Earlier video works such as Single Wide, Eight and Detached Building have presented concise, tightly articulated episodes where scripting and camera work play with Le Corbusier‘s proposition “Le dehors est toujours un dedans,” (the outside is always an inside). House with Pool continues and extends the project, resulting in a visually rich and conceptually layered meditation on the cinematic medium. As an introduction to the exhibition, the entrance gallery features a single diptych, titled She. The photographs, taken during the production of the film, feature the two main characters and emphasize the ambiguity of the women's relationship to one another. 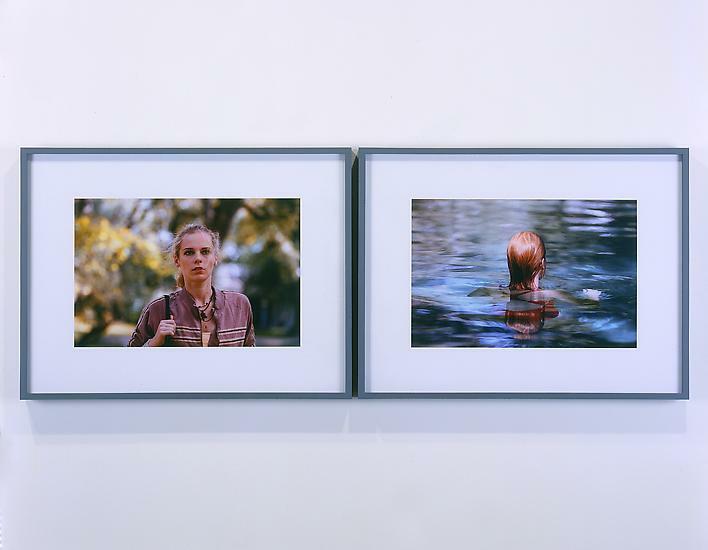 In the small gallery, a selection of photographs taken on the set of House with Pool reinforces the structural and psychological environment the artists produced in the video. The photographs are essentially still lifes of objects that remain after a party, and within these details each photograph possesses a narrative of its own. 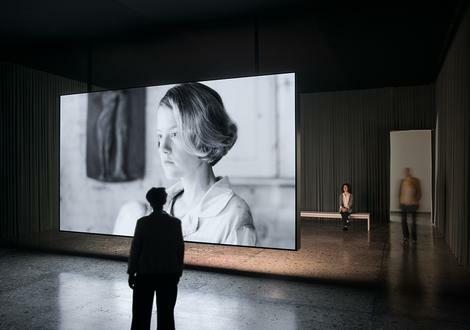 The minimal installation seems to evoke the architecture of the house, and establishes a positioning that both connects the viewer to the women in the video and subtly places the viewer within the house's walls. Through 22 October, Hubbard/Birchler's video Single Wide is on view at the Whitney Museum of American Art at Altria. Other current exhibitions include 3': Condensed information, Schirn Kunsthalle, Frankfurt; Take 5, Huis Marseille Foundation for Photography, Amsterdam and Ein-Leuchten, Museum der Moderne Salzburg. 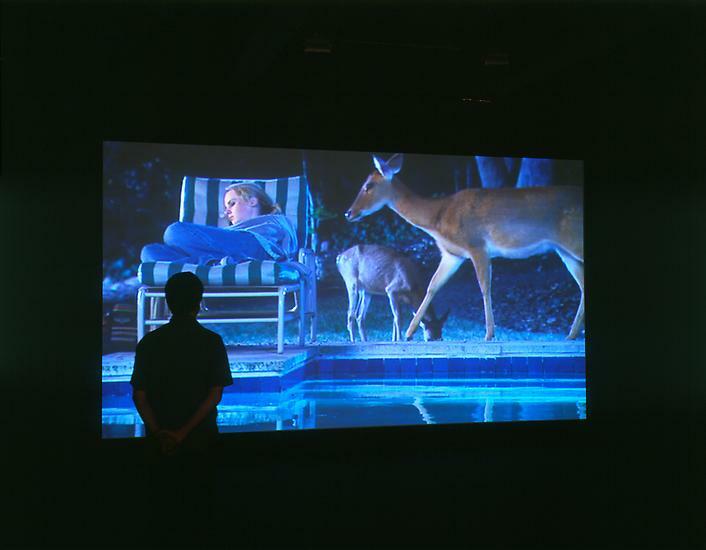 Other recent exhibitions include House with Pool, Museum für Gegenwartskunst Basel; Video Dreams: between the cinematic and theatrical, Kunsthaus Graz; ArtPace Foundation for Contemporary Art, San Antonio; Wild Walls, Museen Haus Lange/Haus Esters, Krefeld; Huis Marseille, Foundation for Photography, Amsterdam; Kunstverein St. Gallen Kunstmuseum; and Kunsthalle zu Kiel; and Out of Place: Contemporary Art and the Architectural Uncanny. Museum of Contemporary Art, Chicago. Upcoming solo exhibitions include Editing the Dark, The Kemper Museum of Contemporary Art, Kansas City and survey exhibitions at the Centro Galego de Arte Contemporánea, Santiago de Compostela, Spain and the Modern Museum Fort Worth. Hubbard/Birchler’s work will also be presented on the upcoming season program, Art in the 21st Century on PBS.